Comparing the interior of a Delta Scuti star to the sun. 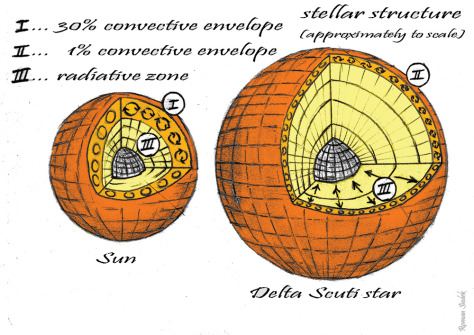 Notice how deep the convection layers run on solar-type stars, compared to the Delta Scuti. Although it makes up only 1 percent of the radius, astronomers think convection could help drive the pulsations on the variable star.